Even before the 2017 season was over, we were planning for 2018. We have quite a few improvement projects in the works and they started November 1st, the day after we closed for the 2017 navigation season. We are certainly not wasting any time! 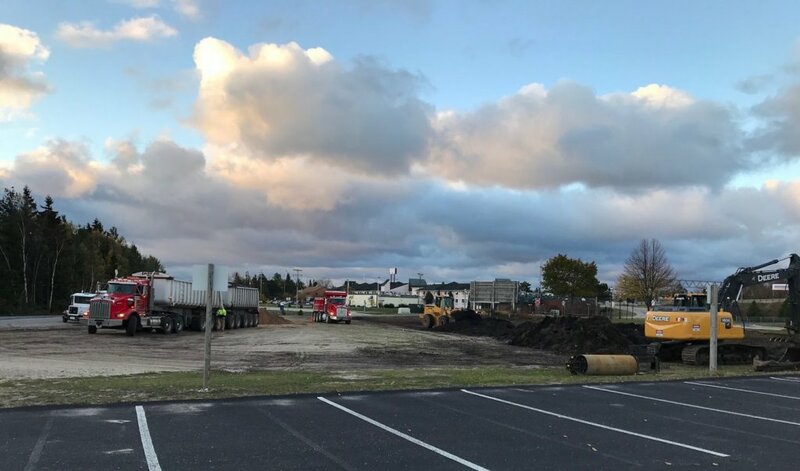 Our top priority in the off-season for Mackinaw City is our off-site day parking lot, located directly across from I-75 exit 338. Until now, our day parking has been split into 5 lots. They are all on the same property, but with very different surfaces. One is paved, one is grass, and 3 are gravel. Our project this year is to pave all of the lots to improve your parking experience. 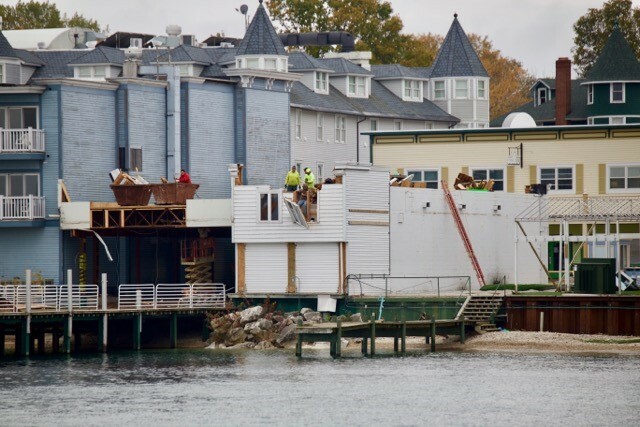 As we announced in our “Here we Grow Again” blog, we are expanding our Mackinac Island dock. 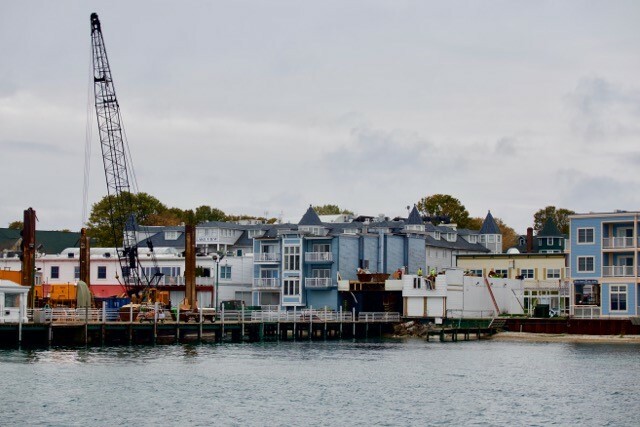 On November 1st, a barge and crane were delivered to the Mackinac Island dock to help with the demolition of the building and the deconstruction is well underway. We are very excited about this project and what it means for our guests. Watch our Facebook page for regular updates on the expansion and everything we have going on to better our service for the 2018 season. The upgrades for parking and the pick-up stations will be welcome in my book. That was the only improvements I was hoping to see. Otherwise, love your service. Thanks, Jerry. The parking area is definitely where we saw a need for improvement, just like you did. Our goal is to eliminate the confusion of where to go to get a ride to the dock and also give some order to the line to get on the tram. We’re excited to see the project progress. We look forward to seeing you next year! Cannot wait for the 2018 Season. Thank you for all you have done for my family. Your compassion after my wife passed away and the goodness of your employees is beyond compare. Thank you. We are happy to hear that we made even a small difference in your time of sorrow. We look forward to seeing you in the upcoming season. Take care and have a great winter! Can’t wait to come again in 2018! We can’t wait to take you! Looking forward to next summer and your new expansions. as you folks do, our country would be in better shape! Love your service and Mackinac Island! Rita, it’s our happy place, too! Glad we have so much in common. Thank you for riding with us! Had a great visit on your Miss Maggie to the Island again this fall. Will enjoy the new parking and dock enhancements. Daniel, Thanks for riding with us this fall. Be sure to watch our updates on Facebook throughout the winter to get a sneak peak into all of the improvements we’re making. See you next year!